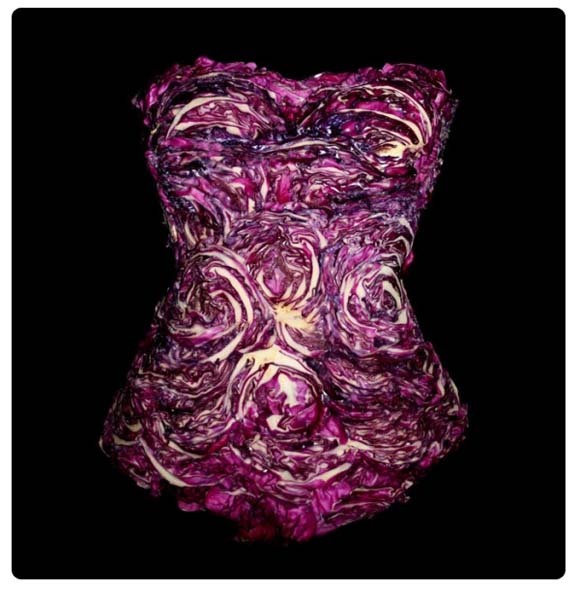 Seems like Lady Gaga was on to something when she wore that controversial meat dress! 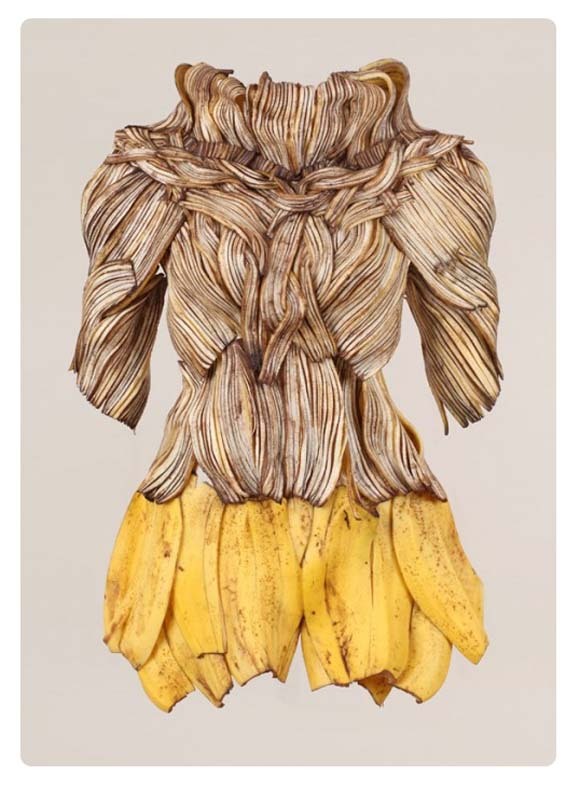 Wearable foods seem to be trending as we came across the latest work by Sung Yeon Ju, who uses fruits and vegetables as a part of her series titled “Wearable Foods”. As the temperature goes down, it’s time again to cozy up by the fire and snuggle into your favorite holiday bedding. Retailers have been showcasing different bedding designs for the season which are more youthful and modern with over sized prints. 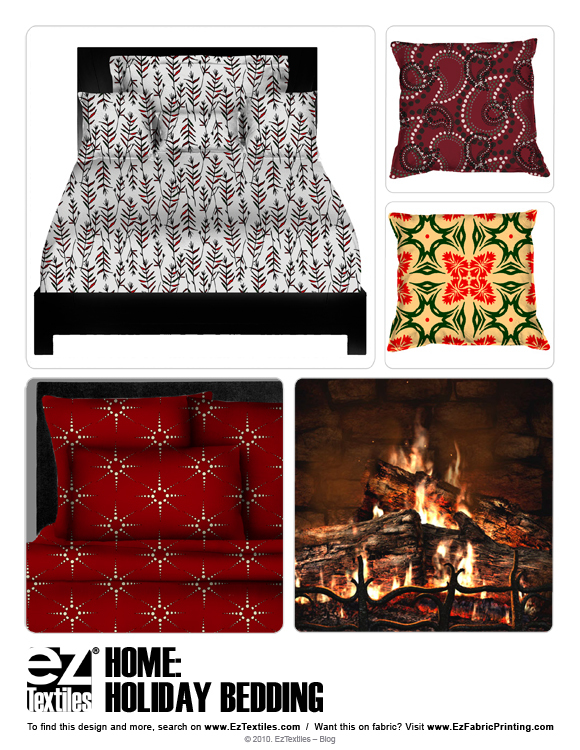 Check out more Holiday Bedding design ideas! Thanks to celebrities such as Lady Gaga, Katy Perry and Beyonce, the art of decorating ones’ nails has never been so popular or creative! We’ve seen a bit of everything, from artistic geometric patterns to daring animal prints, the sky is the limit when it comes to nail embellishment! 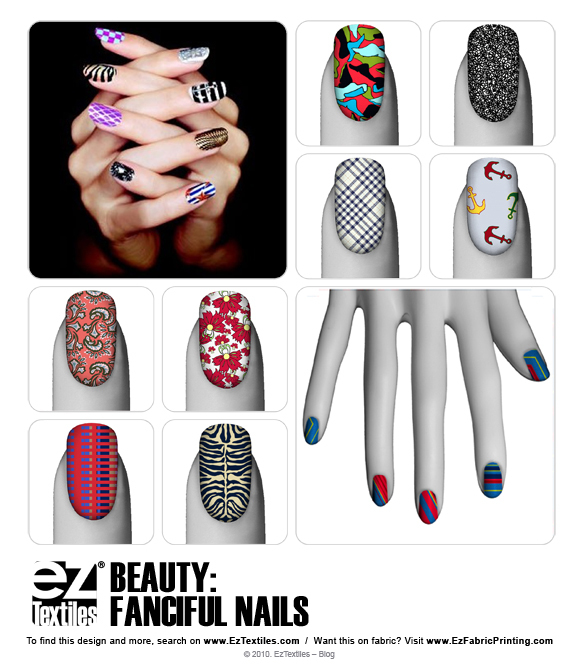 Change that boring manicure, start playing with nails provided in this beauty collection! We have similar royalty-free stripe designs available for download! 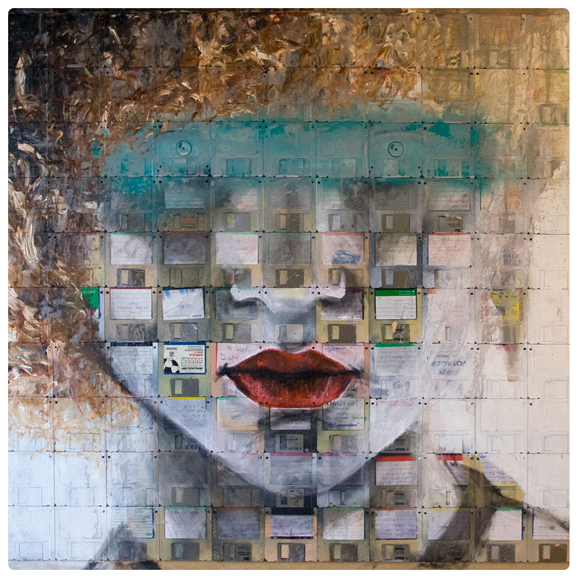 As visually stimulated people, we couldn’t help but be inspired by Heyniek, a graduate from the Design Academy of Eindhoven. 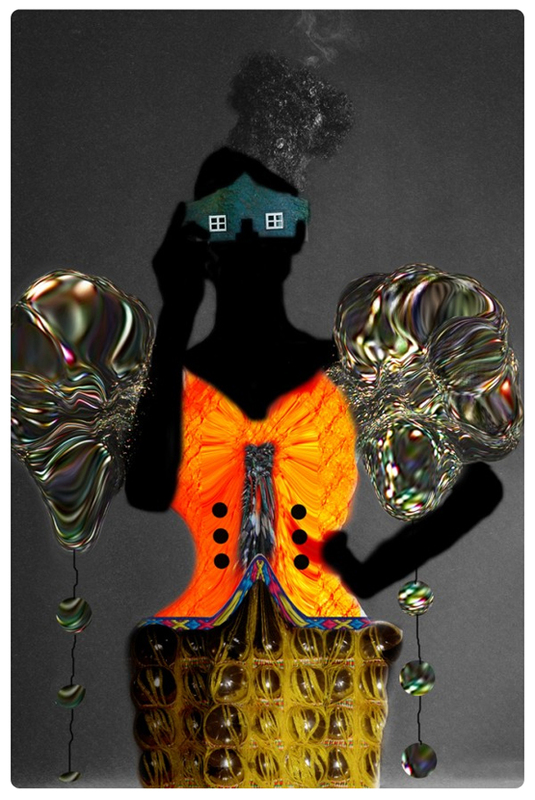 His mood boards and illustrations for his collection, “Fantastic Fatalism” are breathtakingly creative! 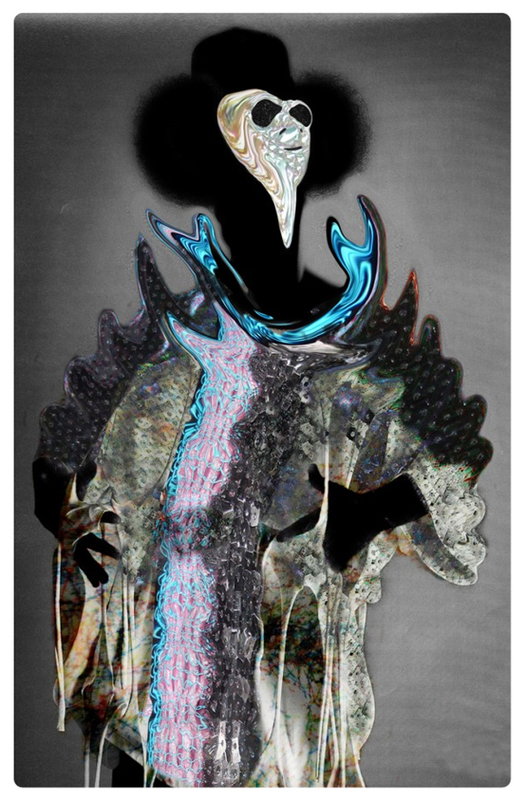 We love how imaginative and eclectic his eye is for putting together some intense patterns and colors! What isn’t there to love about the Fall season? From the brisk cool weather to the changing leaves on trees, this is the season that inspires us the most with color…. 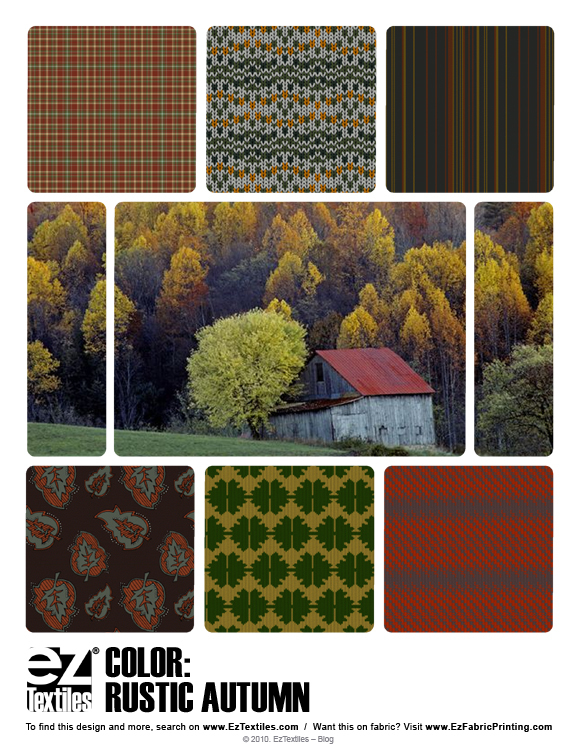 This Fall, there is a primary focus on burnt oranges, rusty reds, and deeply saturated hunter greens. Start your search on this color trend here! In the midst of this Winter season,there has been a noticeable presence in bulky sweaters,cable knits,oversized cardigans, and cozy furs. The strongest must have trend is coming from Fair Isle patterns! 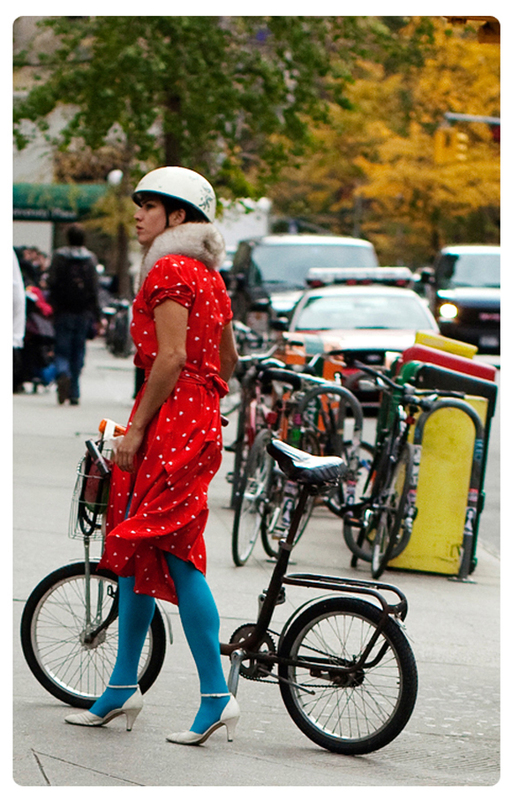 Once thought of as “on the verge of tacky” holiday themed patterns, a.k.a. Fair Isles, have made quite a comeback in nearly every market, and on everything from accessories and apparel to home items. 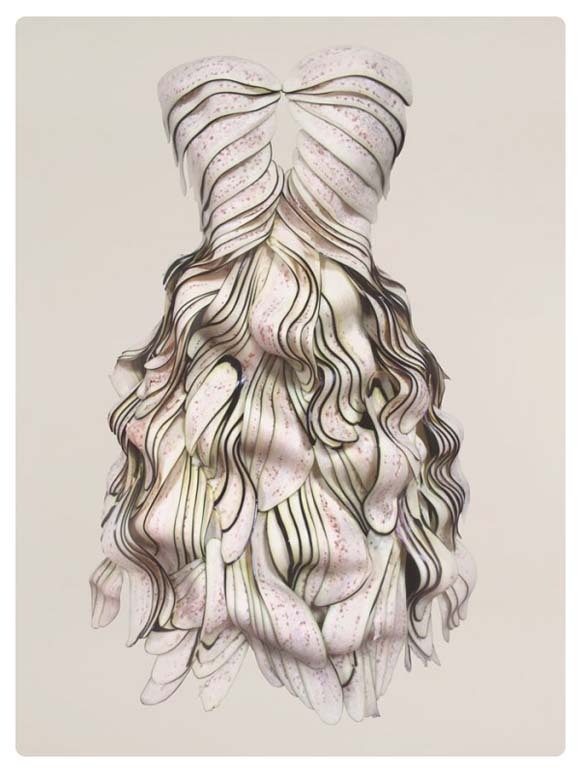 Runway designers have helped popularize Fair Isles this Fall 2010 season in their Womens and Menswear lines and we are loving it! The traditional knitting technique originated in a tiny isle off northern Scotland and has remained unscathed throughout decades! 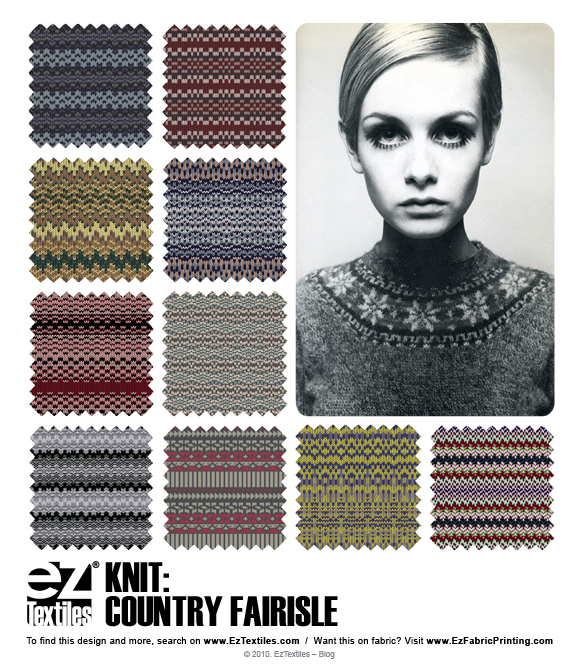 Download our Fair Isle knits! 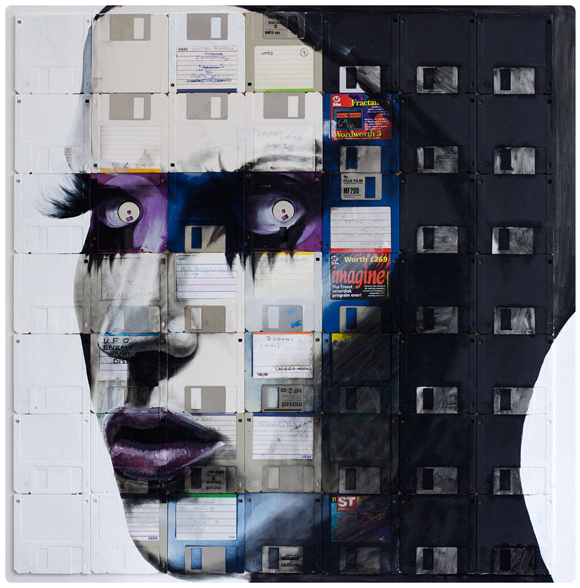 Check out artist, Nick Gentry’s newest focus…he uses discarded floppy discs containing all kinds of different data as a substrate for fashion forward portrait paintings. We love the graphic element of black and white meets bright POP colors! 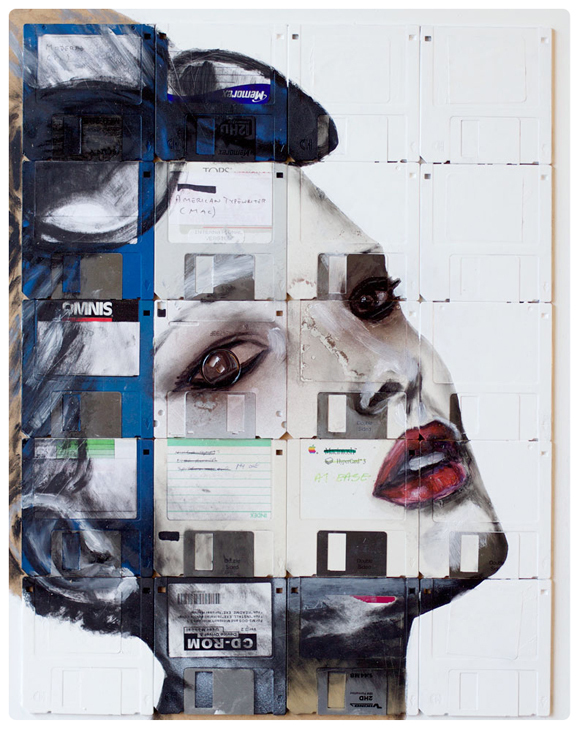 If you are designing for the Home Market, this is a creative time for you! 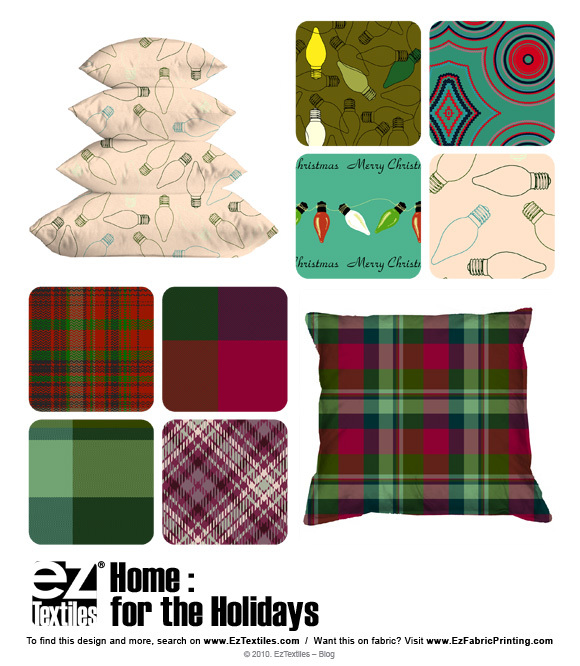 Holiday Patterns and Graphics are anually in demand during the month of December. Everything from conservative plaids to playful holiday motifs in the traditional red and green colors are great for home accents. View these designs on various home products ranging from pillows and beds to kitchen aprons and mitts!